President Obama signed his Student Loan Debt Relief Order earlier this week. The plan opens up the availability of the Pay As You Earn Repayment option to those who have borrowed prior to 2007. An estimated 5 million student loan borrowers will be effected by this Executive Order. They will be able to limit monthly payments to no more than 10% of monthly income. It is not clear when the change will actually go into effect. The Washington Post is reporting officials as stating December 2015 is probably the earliest that borrowers can take advantage of this expansion of Pay As You Earn. Watch President Obama sign and discuss his plan. There are over a half dozen repayment options for Federal Student Loans. Most borrowers will be eligible to use several of these options. Deciding which is best for you takes considerable thought. You are only allowed to Consolidate your Federal Student Loans once. What is your potential for salary increase and advancement in your job or career? Do you understand the ramifications of taking a lower monthly payment on the overall cost of your loan and the increase in length of repayment? Do you have other options such as employer repayment programs, federal or state loan forgiveness plans or profession specific repayment plans? Wading through your loan repayment options can be confusing and overwhelming. If you would like help determining your options, schedule a Student Loan Debt Counseling appointment with me. Call 507-365-7330 or email me at headforcollege@netzero.com. 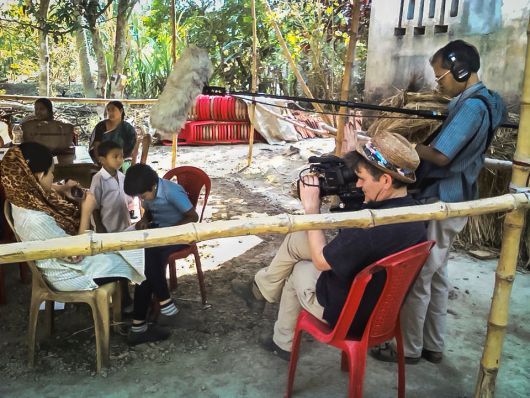 British director Jerry Rothwell, the winner of the first annual Sundance Institute | TED Prize Filmmaker Award, has spent the past year trailing TED Prize winner Sugata Mitra as he sets up the first locations of the School in the Cloud. Traveling between a remote village in India and a forward-thinking elementary school in the U.K., Rothwell has watched Mitra, a Newcastle University professor, plant the seeds of his global education experiment that lets children learn on their own, and from each other, by tapping into online resources and their inner sense of wonder. Pixar films are known for their thoughtful storytelling and groundbreaking animation. One of the coolest things about these movies: the math that Pixar’s team is actually inventing to improve the audience experience and the look of the characters. We caught up with Pixar’s Research Lead, Tony DeRose—who gave the TED-Ed Lesson, “The math behind the movies,” about how arithmetic, trigonometry and geometry helped bring Woody and the rest of your favorite characters to life—to hear more. Bonus: we got to hear about his own progression from building model rockets to creating Oscar-winning characters. What got you interested in mathematics as a kid?